The November 5 Breeders’ Cup Juvenile (G1) presumably clinched the title of champion two-year-old male for Classic Empire, but the divisional action is far from over. Indeed, it now shifts into another gear, as the later developing juveniles begin to assert themselves on the road to the 2017 Kentucky Derby (G1). We’ve still got a handful of Derby points races remaining in 2016, beginning with Saturday’s $1 million Delta Downs Jackpot (G3). The 1 1/16-mile test offers points, on a 10-4-2-1 scale, to the respective first through fourth-place finishers. Gunnevera, the established class in the Jackpot, accordingly ranks as the 122-pound highweight and 5-2 morning-line favorite. Like last year’s hero, Exaggerator, Gunnevera earned his signature win in the Saratoga Special (G2) over the summer. But unlike Exaggerator, he’s yet to back that up. In his only ensuing start, Gunnevera was a belated fifth to Classic Empire in the Breeders’ Futurity (G1). The Antonio Sano pupil stands to benefit from a projected fast pace at Delta, and he reunites with Javier Castellano. Tip Tap Tapizar is another victim of Classic Empire, having finished a distant third to him in the Bashford Manor (G3) at Churchill Downs. 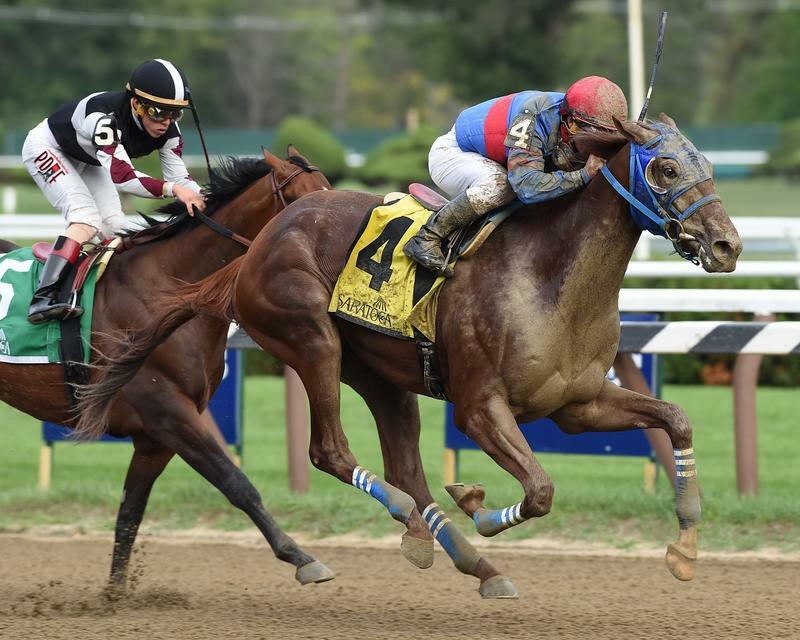 He was subsequently drubbed by Gunnevera in the Saratoga Special, albeit after being badly hampered and nearly brought down by a rival. Promoted to second via disqualification at Saratoga, Tip Tap Tapizar rebounded next time to take the one-mile Sapling at Monmouth. Trainer Steve Asmussen opted to try him in the local Jackpot prep, the Jean Lafitte, but he was unceremoniously repelled by Line Judge and had to settle for second. Tip Tap Tapizar was conceding Line Judge five pounds that day, and hopes that a rematch at level weights here will work to his advantage. A consistent type with high-percentage Gerard Melancon in the saddle, he’ll break from the far outside post 10. Line Judge is a neck away from being unbeaten. Since missing narrowly at first asking, the Joe Sharp trainee won two straight at Canterbury before his successful two-turn debut in the Jean Lafitte. Line Judge has shown high speed in sprints, and between his inside post and the abundance of pace on tap, his hand might be forced early, in his biggest class test, on Saturday. It will be up to C.J. McMahon to carve out a trip. While Classic Empire is on holiday and already dreaming of 2017, his stablemates Our Stormin Norman and Thirstforlife will represent their trainer, Mark Casse, in the Jackpot. Both are coming off wins at Keeneland, but as their 8-1 morning-line odds imply, they’ll need to step up from what they’ve shown so far. Our Stormin Norman, runner-up to Tip Tap Tapizar on debut, took five tries to break his maiden. Three of those were on turf, however. The $250,000 two-year-old in training purchase just dominated his foes on the front end when returning to dirt, and he’s clearly headed in the right direction now. Jockey Julien Leparoux sticks with the son of Blame. Thirstforlife has the opposite profile, as an early June maiden winner who’s been well beaten in his two graded stakes attempts. Third to Klimt in the Best Pal (G2) at Del Mar and fifth behind Not This Time in the Iroquois (G3), Thirstforlife just received a confidence-booster in an entry-level allowance. From the first crop of Stay Thirsty, he’s a three-quarter brother to multiple Grade 1 winner and $2 million-earner Cavorting, and may have more up his sleeve. Florent Geroux will be back aboard Thirstforlife, drawn in post 3, just to the inside of Our Stormin Norman in post 4. Several other high-profile barns have dispatched contenders. Hall of Fame trainer Bob Baffert invades with Hot Sean, a $550,000 half-brother to 2015 Fountain of Youth (G2) winner Itsaknockout. A furiously closing second after a slow start in his unveiling, he’s argued the pace en route to victory in his last pair at Santa Anita. Hot Sean broke his maiden sprinting before handling the stretch-out to two turns in an entry-level allowance, and he promises to go forward early again with Martin Pedroza. The Dale Romans-trained J Boys Echo, likewise a slow-starting runner-up first time out, scored in resounding fashion last time. The $485,000 Mineshaft colt overcame traffic trouble to crush maiden rivals at Keeneland over this 1 1/16-mile distance, and he picks up Hall of Fame rider Kent Desormeaux. Half-brother Unbridled Outlaw didn’t progress as hoped for Romans on the 2016 Derby trail, but maybe J Boys Echo will turn out much better. Like J Boys Echo and the aforementioned Thirstforlife, California shipper Dangerfield is the only other Jackpot runner proven beyond a mile. Co-owned by WC Racing and trained by Doug O’Neill, who teamed up to win the 2012 Jackpot with Goldencents, Dangerfield was unable to break his maiden in a trio of hot contests in Southern California. A trip north to Oak Tree at Pleasanton, and a step up to a mile and 70 yards, did the trick as he romped in the Oak Tree Juvenile. This presents a stiffer challenge for the 12-1 shot, but he does get Flavien Prat in the cockpit. And the $450,000 yearling has something else in common with Goldencents: they’re by the same sire, Into Mischief. Balandeen, a son of Bernardini and Grade 2 victress Mamma Kimbo, has come some way since landing a $62,500 maiden claimer at Del Mar. The Chris Hartman juvenile won at Churchill Downs and was most recently second to the impressive McCraken in the Street Sense. Although this marks his first try over a route, he’s bred to handle it. A strong showing by Balandeen at Delta would reflect very well upon McCraken. Pat on the Back makes his two-turn debut, and first foray outside of New York-bred company, for Ken McPeek. Up in time in the six-furlong Aspirant at Finger Lakes, and a dead-heat second in the Bertram F. Bongard, the Congrats colt annexed the Sleepy Hollow in his latest. That came around Belmont Park’s one-turn mile, in the slop. Post time for the Delta Jackpot is 5:45 (EST). Here are free past performances, courtesy of Brisnet.com, and you can watch and wager at TwinSpires.com.